Whether it's pugilism on a parquet floor, battling Mother Nature's elements on the gridiron, conquering a diamond for 162 games, or skating for your life in the NHL, at the end of the day pro athletes all have a mutual resect for one another. They understand the games are a byproduct of countless hours in a practice facility, weight room, rehab quarters, or in the film room. Yes, they are professionals and yes they get paid handsomely, but don't discount what they do is hard work. Damn hard work. That's why it's never a surprise when one athlete gives props to another sports brethren. Especially when one of those brothers is the greatest to have ever played. 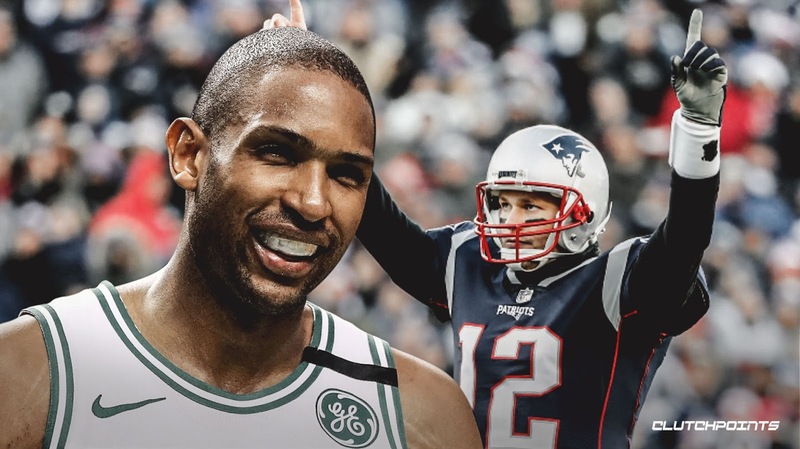 Here's what Boston Celtics big man Al Horford said about New England Patriots' Tom Brady following the AFC Championship victory. "There's no debate of who the best of all time is. I know he probably doesn't want to talk about that. We'll say it for him. We all know that he's the best and we should celebrate and enjoy it because it's something very special." - #Celtics Al Horford on #Patriots Tom Brady. What Brady has done for close to two decades is nothing short of inspirational and awe-worthy. And to keep dominating at the age of 41, conquering ruckus crowds, talking heads, and Father Time with grace, well, what else can you call him but the greatest? We echo Al's sentiments. Hopefully we can all double-down on the GOAT talk Sunday evening.